Our talented students are set to rock the school’s foundations when they entertain audiences with their version of a Queen-inspired musical. 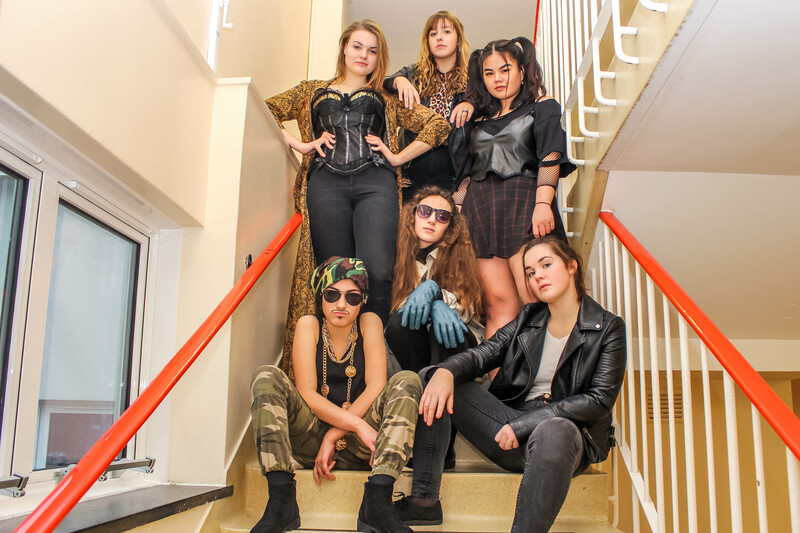 From acting to singing and from playing musical instruments to backstage production, altogether 75 students will be bringing this ambitious production of Schools Will Rock You to packed audiences. Their take on the Ben Elton musical, which features the famous songs from Queen, will be performed over three nights on January 30, 31 and February 1. Headteacher, Nigel Pressnell, said: “This is a very ambitious show and all our students who are taking part, and the staff supporting them, have been working incredibly hard on this for months. Schools Will Rock You is set 300 years in the future and Earth has been renamed Planet Mall, controlled by the Globalsoft Corporation. On Planet Mall mainstream commercial conformity reigns, in which Ga Ga Kids watch the same movies, listen to computer-generated music, wear the same clothes and hold the same thoughts and opinions. Musical instruments are forbidden, and rock music is unknown. In the newest graduating class is Galileo, who has dreams and hears strange words in his head, most of which are lyrics of long lost songs. Despite his teacher’s advice, Galileo refuses to conform like the rest of his classmates. Galileo is imprisoned and meets a soul mate in ‘goth’ Scaramouche. Meanwhile, Planet Mall leader Killer Queen is out to destroy rebels called the Bohemians who believe in a prophecy that musical instruments will again return. Galileo and Scaramouch join up with the Bohemians in a quest to rock the planet once again. Taking on the lead role of Galileo is Year 11’s Hannah Rand and she is joined by Year 12’s Elaine Munsayac who plays Scaramouche. Libby Harrison in Year 10 hits the stage as Britney Spears and Nicola Humphrys from Year 11 is Meat. The anti-heroine of the production, Killer Queen, is performed by Emma Hardy in Year 12. Tickets are still available for the shows on Jan 30 and 31 (Friday February 1 is sold out). People can buy tickets from the school’s Finance Office; adults are £6 and concession is £4.